Holiday time is the best time to buy lipgloss. I'm totally serious. 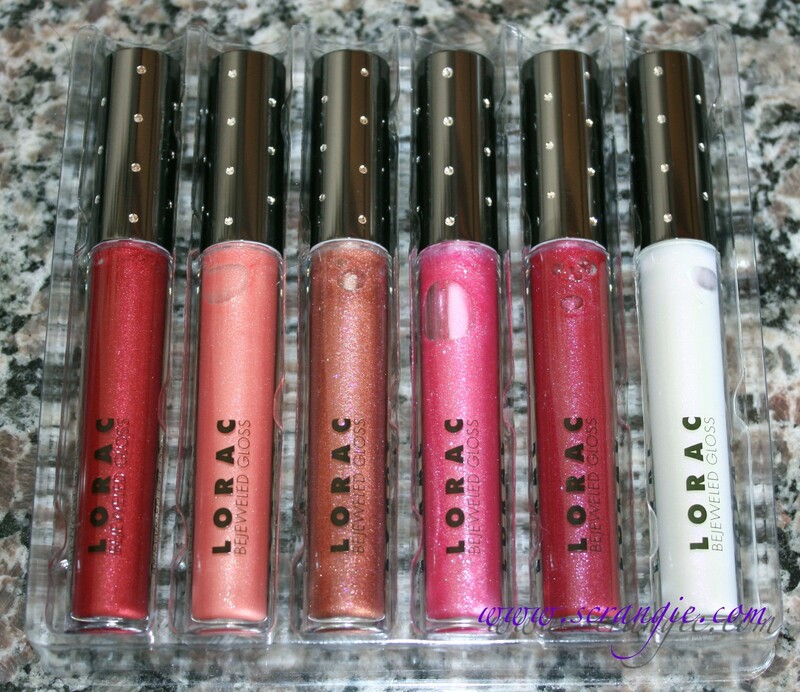 The best lipgloss value sets always come out around Christmas and this year is no exception. 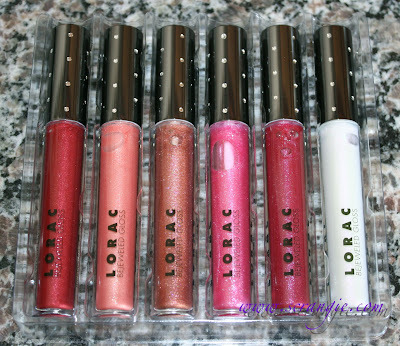 Just take a look at this new limited edition Holiday lip gloss set from LORAC. 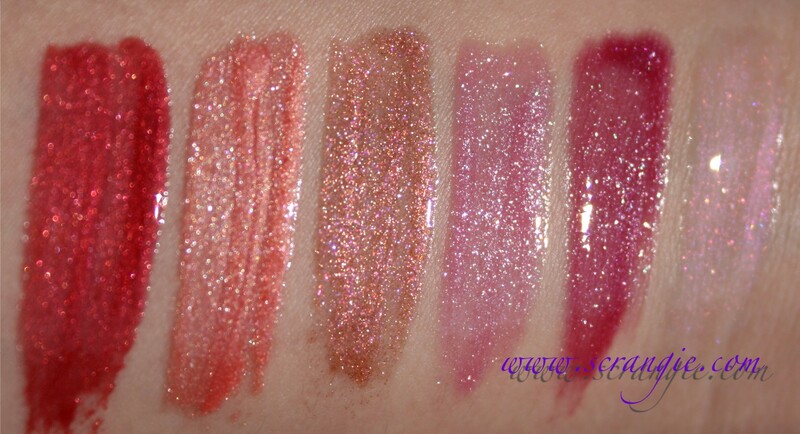 $25 for six glorious, sparkle-filled glosses. 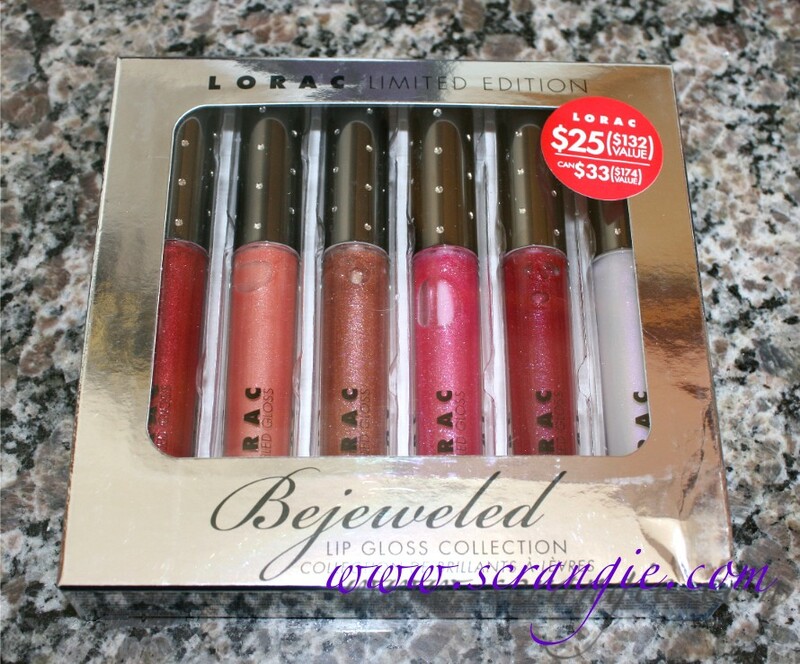 This is the LORAC Bejeweled Lip Gloss collection. 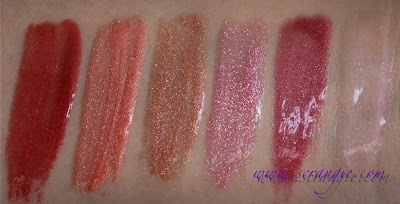 The Bejeweled Lip Gloss collection is a set of six very sparkly glosses. The shades are Red Ruby, Peach Moonstone, Bronze Topaz, Hot Pink Sapphire, Rich Garnet and Pink Diamond. The caps are a a black chrome studded with silver-filled divots that give the appearance of diamonds. The brush is also interesting as it's one of the shortest, stubbiest brushes I've ever used. Swatched over bare skin- direct sunlight, flash, indoor ambient light. Please enlarge at least one of these, the multicolored sparkle detail is amazing in these glosses. Left to right: Red Ruby, Peach Moonstone, Bronze Topaz, Hot Pink Sapphire, Rich Garnet, Pink Diamond. These contain just a bit less product at 0.11 oz. than a full size LORAC Multiplex ($22) or Couture Shine Liquid Lipstick ($22) which contain 0.17 oz. These are not tiny glosses; they're definitely big enough to be called full size. Great colors with tons of sparkle. Both pale and deeper shades, too, not just nudes and pinks. Awesome value; the glosses come out to just over $4 each. Good quality and wear time. Slightly LORAC-vanilla scented (though it could be stronger). Pink Diamond is a clear with pink duochrome and pink/red opal FLAKES. Wish the scent was stronger. It's extremely faint. Some of the shades have a little texture to them when you rub your lips together. Not enough for me to really call them gritty, but if you compulsively rub your lips together like I do, you can tell they're not 100% smooth. 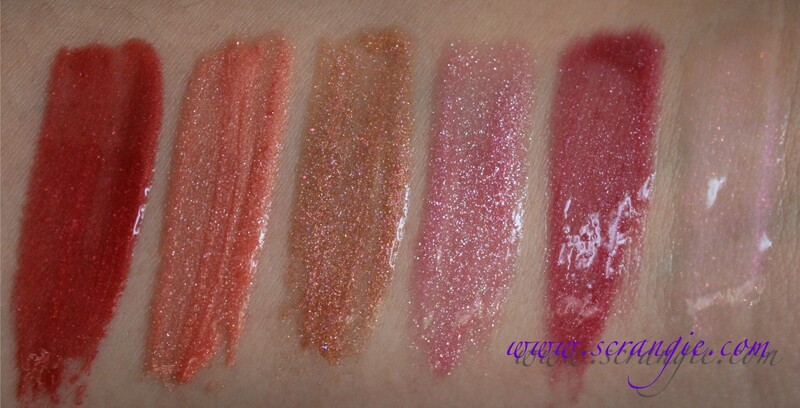 These glosses are all super pretty, the sparkle looks so awesome in sunlight or under artificial light and the tubes are so pretty, they make me want to reapply my gloss in public. I would definitely buy this set again, it's completely worth the $25. 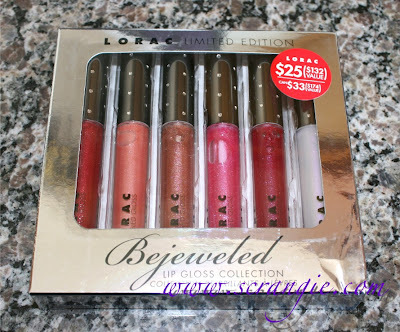 The LORAC Bejeweled Lip Gloss set costs $25 and is available now at Sephora. Wow...great deal. 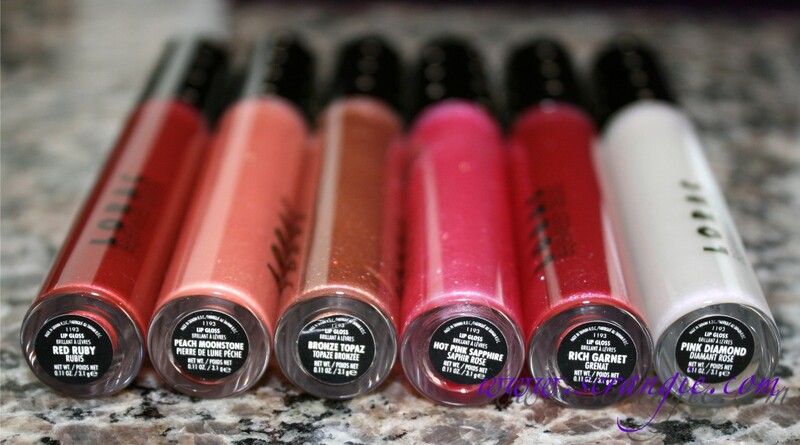 The glosses look awesome. I think I might need to get this set! There are so many glosses that I want from the ones you've showed, but I must show some self-restraint! :P Hehe, I still have to get through a bunch of others tubes, first. Oh my goodness those are beautiful. Sooooo tempted haha. Oh snap, lip glosses are my weakness aside from polish. There are so many lip gloss sets out there right now. I can't wait to see more but this one caught my eye compared to the Color Club ones. That's such a good mix of shades, all beautiful and wearable. I have a long nail polish wants list. Now I've started lists for makeup. I'll never buy everything I want but I can dream. These look fabulous.